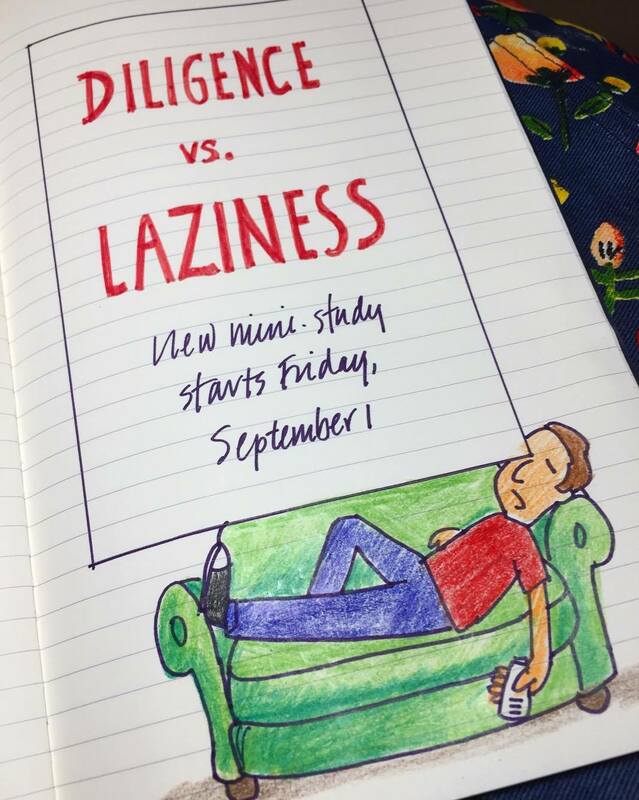 We’re starting a new “mini-study” (Instastudy?) on Instagram tomorrow! These mini-studies take less time to complete each day, and only last 2-3 weeks. Look for “doorpostslady” on Instagram, or watch for the daily posts in the sidebar of this blog. (I think they post here on the blog, even if you don’t have an Instagram account.) Hope you can join me! This is great. Iv e been doing a topical study in proverbs about money and wealth is usually attributed to slothfulness. This is going to be so interesting. I would really like to do this study but I do not do instagram. Please, also send it by email. I’m sorry, Stacy, but this mini-study is not being emailed like our 30-Day studies. You should be able to see the daily Instagram posts in the sidebar to the right, here on the blog site. So you can still follow the study if you don’t mind coming to the blog site each day. It will also be shared to Doorposts’ Facebook page, if you have an account there. Hope this helps! Please send in email. I don’t have Instagram either. Noelle, I wish I could offer this study to you via email, but the mini-studies are not available in that format. If you don’t mind coming to this blog site every day, you can still follow the study. The daily Instagram posts show in the right hand sidebar, just below the subscription box. If you happen to have a Facebook account, they will also be posted on Doorposts’ Facebook page. I hope this will allow you to study along with us! This is very timely as we are studying this very topic right now in our home 🙂 thanks for sharing, we don’t need an Instagram account to view the photos right? Keep up the good work! You are so encouraging to me. You should be able to see the Instagram posts in the right hand sidebar of this blog site. So each day’s new post will show here. You spoil us rotten Pam – looking forward to another mini-study! Just finishing up the Psalm 15 one. I’m excited to do this! And its needed around here! I’m excited about this one. I’ve been struggling in this area forever! I would also appreciate it in email version (like you do the 30-day bible studies), as I do not do instagram. Also, the email serves as my reminder to do it! I’m sorry. This study won’t be available via email, but you should be able to see each day’s post here in the sidebar of the blog site. If you don’t mind coming here each day, you can still follow the study with us! I will also be sharing each day’s Instagram post to Doorposts’ Facebook page, if you happen to have a Facebook account. I’m glad you’ve enjoyed the studies, Linda! Unfortunately, this mini-study isn’t available via email. If you have a Facebook account, I will be sharing the Instagram post to Doorposts’ Facebook page each day. You can also find each day’s post in the sidebar to the right, here on the blog site. I hope this makes it so you can join us. Looking forward to this study! I just signed up for Instagram so I could see more of your pictures and work. It sounds like an interesting and much needed study.